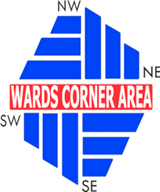 Join the Greater Wards Corner Area Business Association. We meet: Tuesday, July 21, @ 8:30 a.m. and end at 9:30 a.m. Doors open @ 8:00 a.m. Farm Fresh, 230 E. Little Creek Road, Norfolk in the Marine Room on the second floor. Topic: Greater Wards Corner Area Business Association’s Event: “Wards Corner SALUTES the MILITARY”. We will be joined by representatives from the City Managers office, along with representatives who will be working with us from the Military. Please RSVP qwcaba@cox.net or call and leave a message at 587-7975 by July 17. The continued growth and improvement of our business area is crucial and depends on you and your involvement and the effort you are willing to commit. There is strength in numbers and that is why it is important to have a strong Business Association. Mark your calendar. Come and join our business partners. You are currently browsing the Wards Corner Now - Wards Corner, Norfolk, Virginia blog archives for July, 2015.